It’s that time of year, when you’re still feeling full from the holidays and you want to make some lifestyle tweaks to get back on track. 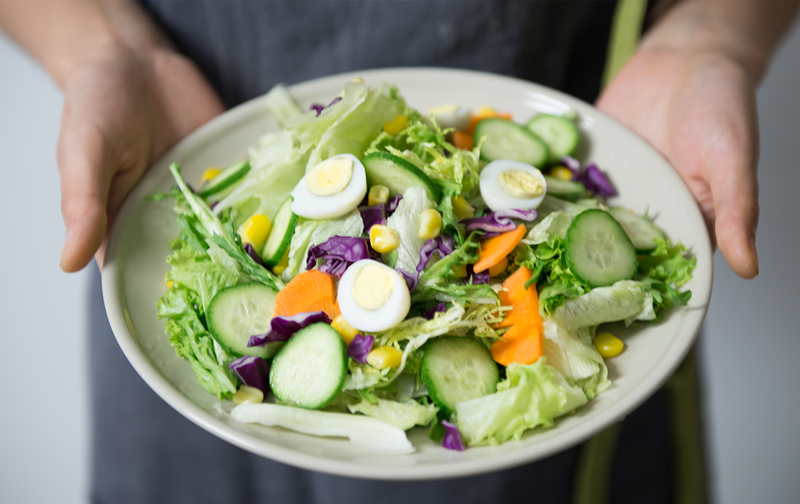 Westmed registered dietician, Jennifer Schaeffer, has some helpful tips to help you stay focused on wellness and healthful eating. Drink more water. People often confuse the sensation of thirst with that of hunger. Be sure to stay hydrated throughout the day to avoid eating when you’re not truly hungry. Listen to your hunger and satiety cues. Remember that the goal of eating is to satisfy hunger, not to feel full. Check in with yourself prior to eating, and make sure you are really hungry. Practicing this mindfulness helps you become in tune with the feeling of authentic hunger. Focus on vegetables. All health care providers can agree that eating more vegetables is important in everyone’s diet. Vegetables provide an abundance of rich nutrients, while providing minimal caloric contribution to your diet. Each meal should contain protein. Protein contributes to a feeling of satiety by stabilizing blood sugar levels, allowing us to feel satisfied longer after eating. Protein is key in maintaining lean mass (muscle) during periods of weight loss. Increase daily movement for optimal health and weight control, and exercise regularly for total well-being. Consider setting an hourly alarm to remember to step away from your desk for a five minute stroll down the hall, around the floor or up and down the stairs. Remember what is motivating you. Don’t think about your diet or lifestyle changes as a state of deprivation, but rather a tool to achieve and maintain your goals. Westmed’s Healthy Measures team knows how to help people manage the factors that contribute to weight gain. Our comprehensive team works together to help build a ‘tool-box’ of skills for patients so they can achieve long-term weight loss. For more information or to make an appointment, please visit westmedgroup.com/healthymeasures or call 914-848-8665 today.